Please use our online application portal to view vacancies and apply for positions at the Royal Society. The Royal Society is the independent scientific academy of the UK and the Commonwealth. Our aim is to recognise, promote and support excellence in science, and to encourage the development and use of science for the benefit of humanity. The Society’s Fellows have played a part in some of the most fundamental, significant and life-changing discoveries in scientific history and Royal Society scientists continue to make outstanding contributions to science in many research ideas. You can find out more about our interesting past by reading about our history. You can find out more about the Society’s Fellowship by visiting our Fellowship Directory. 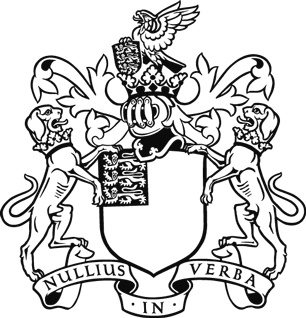 Our motto is Nullius in verba (“take nobody’s word for it”) and academic rigour is at the heart of everything we do. We are always seeking diverse and enquiring minds who can join us on our mission and help us in shaping tomorrow’s society. Work with us and you will play a central role in promoting science and its benefits, recognising excellence in scientific thinking, providing policy advice, fostering international and global co-operation and engaging the general public. We would like you to be aware of the Society’s position on the use of animals in research before applying for a role at the Royal Society. Find out where we are by visiting the contact us page.